This project faces a specific mental health syndrome characterized by emotional, mental and physical exhaustion: burnout. 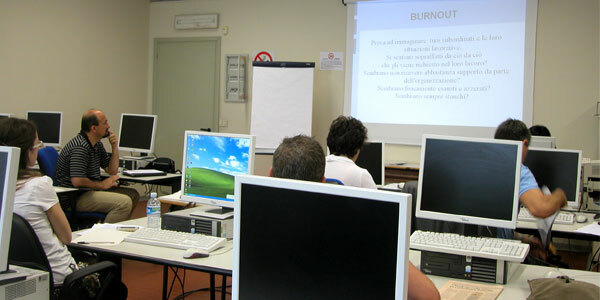 The aim is not (only) to prevent working situations that promote burnout but rather to be able to detect burnout among staff early and to define strategies to intercept the burnout progress in companies as it is a phenomenon which does not appear all of a sudden but develops slowly and gradually. The project has developed a training programme “burnout intervention training for managers and team leaders” addressed to company managers and team leaders.